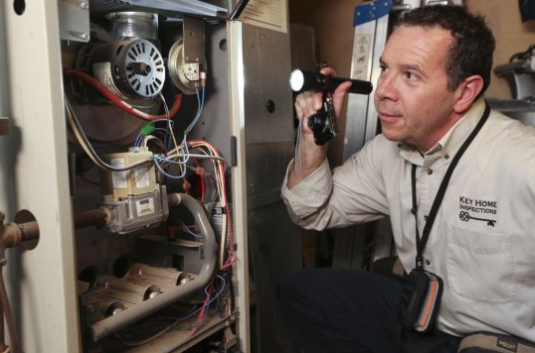 More than 1,500 home inspectors operate in the province and there will soon be technical and ethical standards for them to meet. Today anyone can call themselves a home inspector in Ontario. That is a scary proposition since most consumers depend on the opinion of a home inspector before making one of the biggest purchases of their lives. More than 1,500 home inspectors operate in the province yet there are no mandatory training or technical standards for them to meet. The results are often a leaky roof, cracked foundation or outdated electrical wiring or plumbing that was missed and which ends up costing unwary consumers thousands of dollars to repair after closing. In extreme situations, consumers have lost their homes. Many inspectors do not carry errors and liability insurance, meaning that if they make a mistake, even if you win a lawsuit, you may recover nothing. The Ontario Ministery of Consumer Services formed a panel of industry experts to recommend changes to the home inspection industry, which included home inspectors, educators, a realtor, a lawyer, educators, engineers and an insurance broker. Licensed home inspectors will require minimum qualifications, including a written exam, field test and experience requirements. Ongoing professional development and education will also be required so inspectors stay up to date. Increasing consumer awareness by providing information on the services inspectors provide. For example, some inspectors may offer energy audits, new home warranty inspections, chimneys, well, septic, mould, drainage or termite testing, while others may not. Home inspectors should not be required to enter unsafe or not readily accessible areas of a home. A centralized registry of licensed home inspectors accessible to consumers. A code of ethics that outlines expected behaviour of inspectors, including disclosure of any referral fees or incentive programs. Mandatory errors and omissions and general liability insurance for all licensed home inspectors. A complaint and dispute resolution process for consumers. A delegated administrative authority, similar to the Real Estate Council of Ontario that regulates real estate agents, overseen by the government, to license and regulate home inspectors. For example, the code of ethics would be written by the government but the administrative authority would enforce it, with the power to penalize or suspend any inspector who violates the code. This authority would pay for itself through the fees charged for licensing and education. The goal is to introduce these regulations within the next 18 months, to permit home inspectors to become licensed. I spoke with Graham Clarke, an experienced home inspector with Carson Dunlop who was on the panel. As Graham indicated, almost everyone involved with the homebuilding and selling business — from real estate agents, lawyers, mortgage brokers, lenders, builders and appraisers — are regulated by the government in some manner. It is time for the home inspection industry to become similarly licensed and regulated.
. If you have views on this important issue, send in your feedback to the government now. Change is coming to the home inspection industry, and the consumer should be the winner.